Where The Water Tastes Like wine was an indie darling of 2017, praised for its unique and rich storytelling capturing the eerie mood of a Depression era United States. Players wandered the countryside at their own pace, collecting stories that could be used as currency to unlock new stories and interactions later on. The gameplay consisted of the player character actually walking across a large and stylized map of the United States to new locations as they went. Each location would bring new characters to meet and new stories that they had to tell. While there was a main storyline, there were plenty of smaller stories to be heard, almost like narrative side quests. The pace of the game however, was criticized by some for being almost too slow, saying that the walking pace of the character and the speed at which you could travel became tiring by the end of the adventure. Back in March, developers made a move to correct this by adding some faster travel options. Now, players could use items they’d gained from certain characters to travel back to the city where they first met that character. The other big addition was the fact that once they were halfway through the game, players can fast travel over much longer distances, allowing them to traverse the US much faster than they would have been able to before. Today, they released an additional new patch for the game. The Tall Tales update adds 15 new vignettes to the already vast number available to discover in the game. They Also expedited travel by introducing an auto-walk feature. Just press F or the right bumper and the character will walk along at a steady pace without you having to hold the button down. Hopefully these patches will continue to improve on what was already a very unique and interesting experience for gamers. 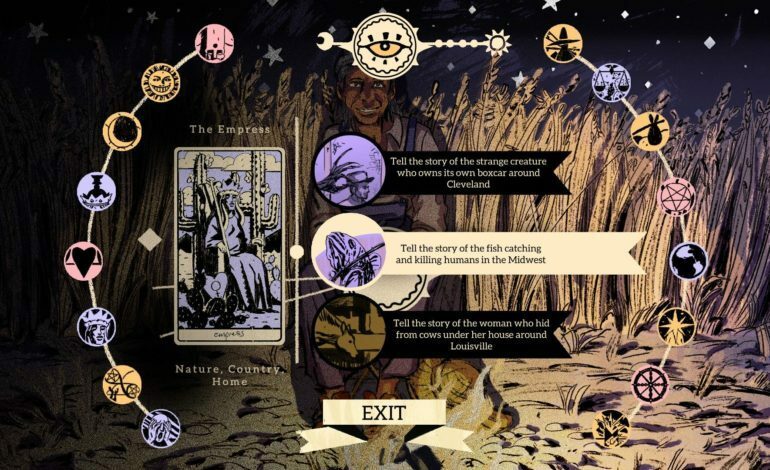 Where The Water Tastes Like Wine is available now on Steam.